Asset Builders is a Buying Group for Independent builders across Australia. Whether you build one home a year or one-hundred - Asset Builders can offer solutions to help you win work, improve your margins and leverage your time. 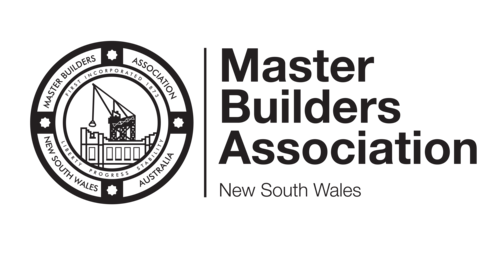 Asset Builders works with 600 independent builders across New South Wales, Queensland and Victoria. We use this leverage to negotiate deals with over 170 suppliers, allowing us to net you better deals on footings, flashings and everything in between. Having worked closely with builders since 1999 we saw their most valuable asset disappearing - time. Overcoming this problem and giving precious hours back to builders, has been one of the key drivers in the development of the Agility Project Portal. Increase your visibility, qualify your prospects and win work with Asset Builders Digital Marketing Services. From Websites and SEO, to Social Media and Email Marketing Campaigns, Asset Builders can assist you in developing your digital marketing portfolio. We'll plug you into our full funnel marketing machine. It is a powerful, proven, cost-effective, marketing system that takes full advantage of the internet, Google, social media and email marketing. What’s better is our system is highly automated and easy to use. As business development partners we take care of all the nuts and bolts and other details for you so you concentrate on what you do best. Asset Builders has been working with builders like you for over twenty years. Are you ready to become our latest member? "The guys [Asset Builders] have been really helpful. They've come out every time I need any assistance. They help me set everything up. It's been pretty easy"
“As soon as an Asset member signs up, we (Cukuna) place them on our VIP pricing structure, which is the best discount tier we offer. Cukuna really look after Asset members"
"The team at Asset did a great job getting my business up to speed on digital marketing. They take care of all the details. Without their help, I would still be trying to make sense of everything. I cannot recommend them highly enough"
“I moved to Asset Builders after initially trying another provider. It was the right decision. ...They provide a better product and their dedication, commitment, and ongoing support are far superior. "Asset have introduced be to some good quality suppliers and helped me use the project management software, which saves me time... I have found the experience to be beneficial to my business and have no hesitation in recommending Asset Builders to other builders." "When pitching for a project, clients like to know that we are part of a buying group (Asset Builders). This gives us a competitive edge for winning work"
If you would like to know more about what Asset Builders can do for your business. Enter your details below and we’ll put you in touch with your local Asset Builders Business Manager.